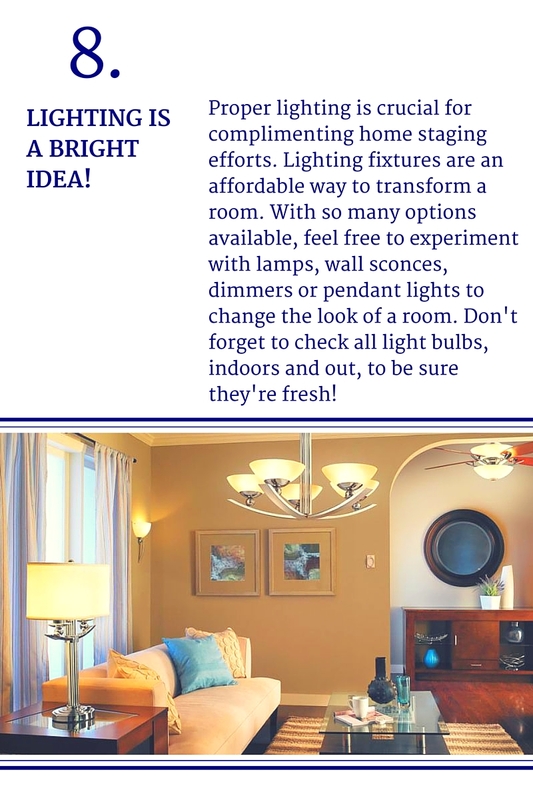 According to the National Association of Realtors, for every $100 invested in staging, the potential return is $400! 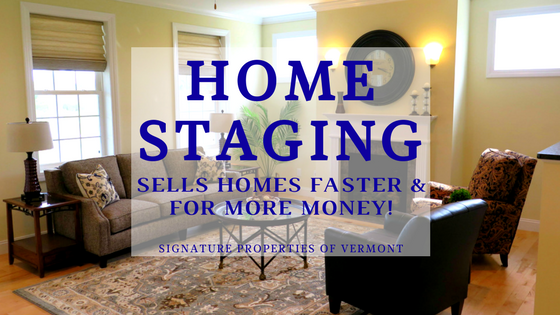 Staged homes not only bring in higher offers, but they normally sell much quicker than their non-staged counterparts. 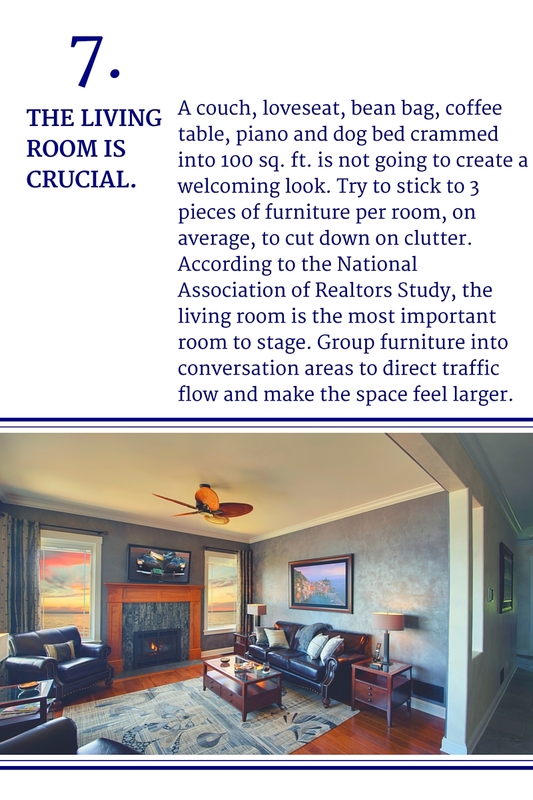 If you're thinking of listing your home, we would highly recommend at least some level of staging. 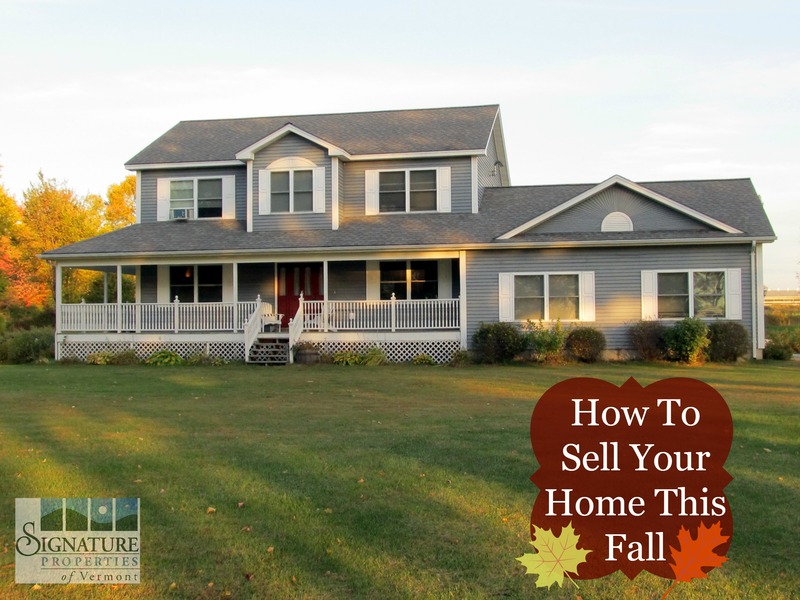 Read on for our top tips to get your home prepped for sale. Neutral doesn't have to mean boring. What we mean is avoid bold, bright colors (this includes stark white!) all throughout the home. The goal here is to appeal to the masses, and while your favorite color may be fuchsia, it won't necessarily translate well to potential buyers. That being said, we're providing tips to give you the best return on your investment, so if re-painting is out of the question, it'll just require some extra attention and thoughtful accessorizing to convince buyers that fuchsia might be their new favorite color. 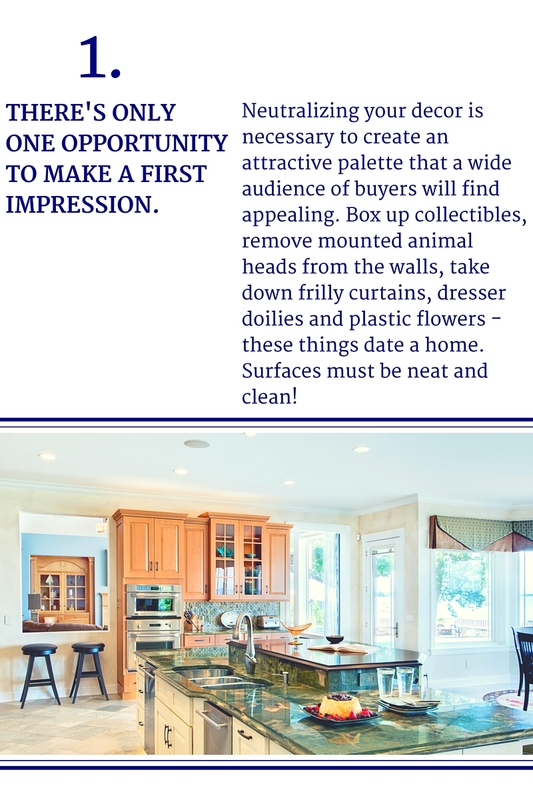 When buyers walk into your home, they want to be able to picture themselves, and their belongings there. Think of this step as a head-start on packing, and really minimize any extra possessions. A vase of flowers and a nice painting here and there will be great, but it's time to pack up personal pictures, diplomas, framed certificates, refrigerator art, etc. It's not that buyers wouldn't like your taste, it's that their goal is to make the space their own. It's easier to do that if personal possessions are kept to a minimum. While we're on the topic, this is also a good time to consider removing anything that could be considered divisive (think political memorabilia and the like). Yes, you're right, we just told you to minimize your personal possessions. But, what you don't want to do is go too far and remove every stitch of personality from the home. 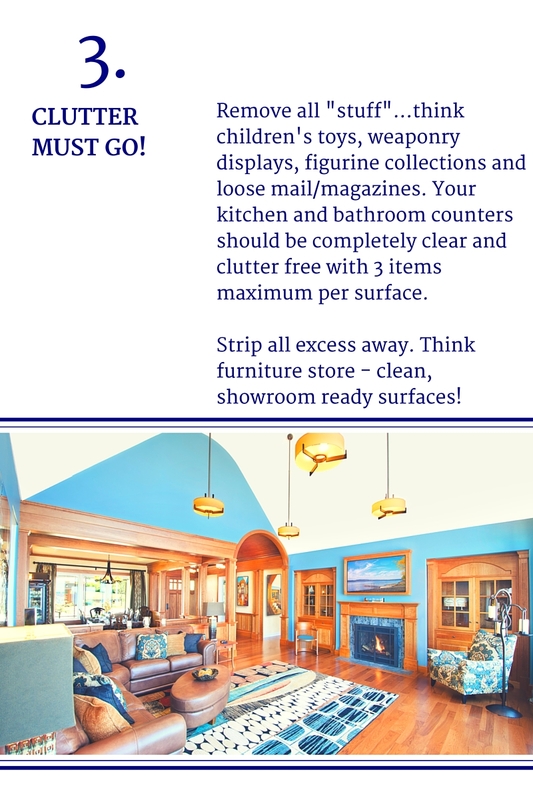 Selling a vacant home can be just as challenging as selling an overcrowded one. Remember how we said buyers are trying to picture themselves living in your home? That'll be a lot easier to do when rooms remain furnished. Surprisingly, furnished rooms actually appear bigger than empty ones! They also show less flaws and make it appear as though you're not in a huge rush to sell. Sometimes a vacant home can give that impression and therefore bring in lower offers. Not only is remodeling generally a very pricey and time consuming process, but it can be a big gamble. Furthermore, if you need to take out a loan in order to fund your remodel, it could be harmful to your credit score and run you the risk of not recouping your investment. 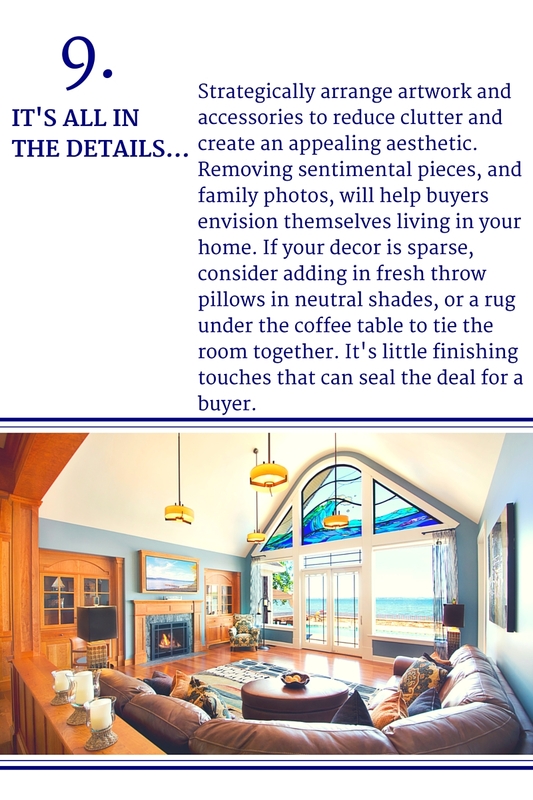 Even sellers with the best of intentions can't predict what buyers will be looking for in terms of decor. This is one of those situations where you'd be wise to consult with your realtor and get their opinion before taking on an extensive remodel. That being said, cosmetic fixes and repairs are always good things to get taken care of before listing your home. Interior design trends, just like fashion trends, come and go and there is a fine line between retro-funk and just plain out dated decor. When preparing your home for sale, it's best to air on the side of caution and avoid anything too trendy. A pop of color here and there (think pillows, curtains, bedding) can be very tasteful, but avoid anything that could read as out dated (shag carpeting, ruffled tapestry etc.). 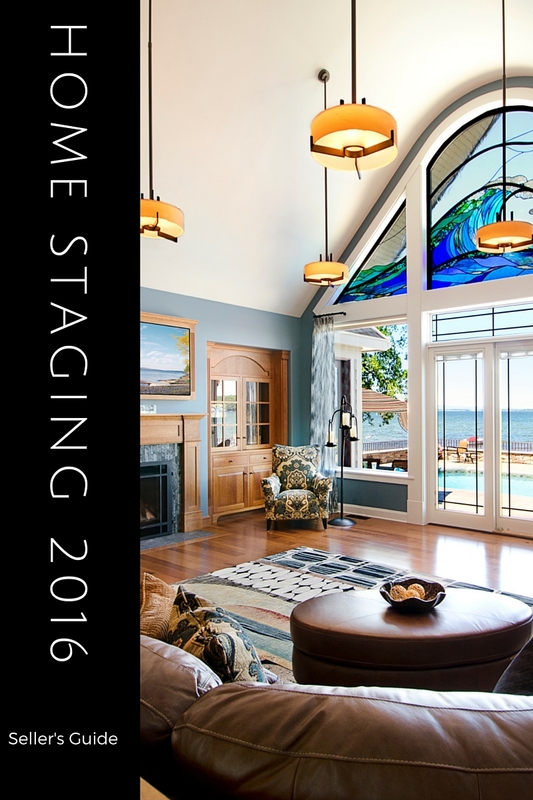 Did you know that we offer home staging advice? 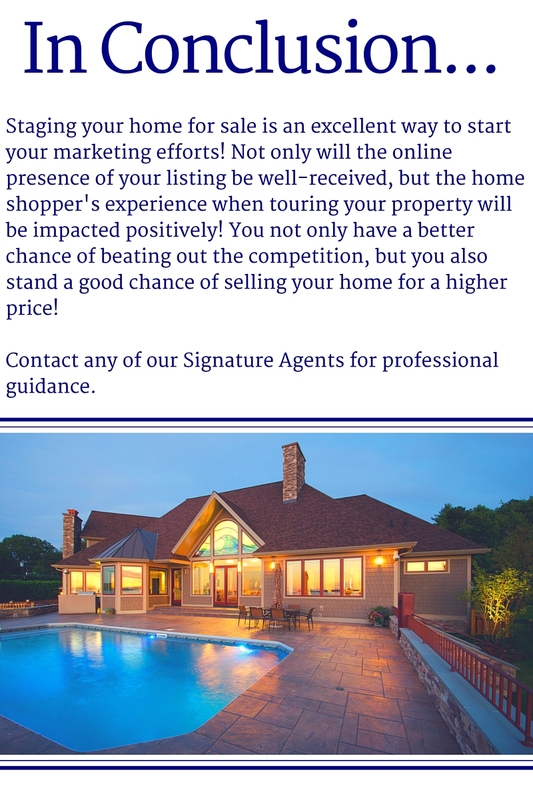 If you're considering listing your home, we will happily offer personalized guidance to steer you in the right direction! Send us an email for more information. What better time to revamp your mudroom than at the beginning of a new school year? We have some tips to put your entryway to work and keep your family organized. 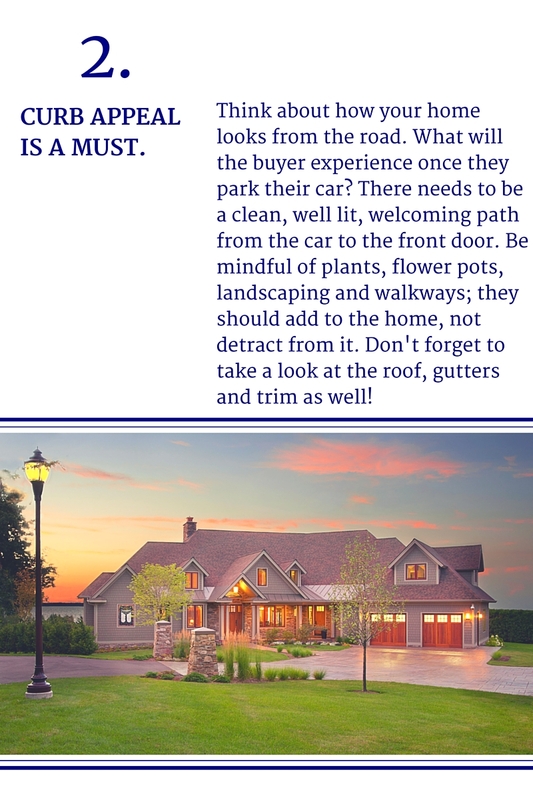 These suggestions won't break the bank and they'll be sure to help you get out the door faster every morning, and keep your home from seasonal damage. A message board, or large calendar, will help keep you and your family organized. I've found making lists not only helps with organization, but also time management and stress relief. Plus, if everyone knows what's on the schedule for the upcoming week, it'll be a lot easier to get out the door on time! Add some hooks for easy and quick organization! We'd suggest at least 4 hooks per person to keep every day essentials (keys, backpacks, totes, jackets etc.) at-the-ready when you need them. If space allows, building cubbies is an EXCELLENT way to maximize space and really take organization to the next level. Imagine the convenience of every family member having a designated space for the things they take to work or school every day! This may not seem life changing in the summer, but think about winter when we have to add bulky coats, hats, mittens and boots into the mix. You'll be thankful for the extra space. 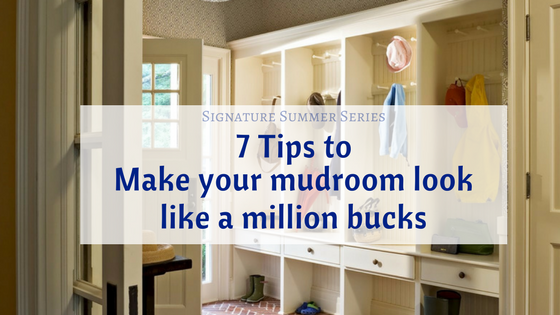 Mud rooms and entry ways are typically on the smaller side. Adding a mirror will make your space look larger while also giving everyone one last chance to get themselves together before running out the door. If space allows, we would highly suggest adding a bench or two to your mud room. Not only will it make it easier to put on and pull off boots and shoes, but it'll encourage your guests to remove footwear before entering your home. We can't stress this tip enough! We know by now that life in Vermont gets messy - especially in the winter and spring. Choosing flooring that will hold up to moisture is crucial. We'd suggest tile flooring which will withstand whatever you throw at it, and is easy to clean. The mud room is an excellent place to organize your pet's accessories as well! A couple of hooks will keep leashes and other necessities at-the-ready when walk time rolls around. This is also a nice place to keep extra pet food, toys and pet carriers. Is there anything better than relaxing outside during the warm, sunny summer months? 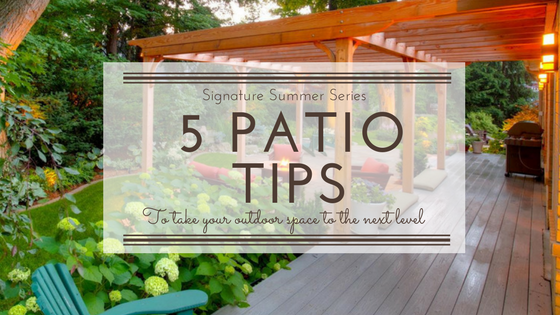 We've put together 5 tips to make your outdoor space the perfect place to unwind and entertain. 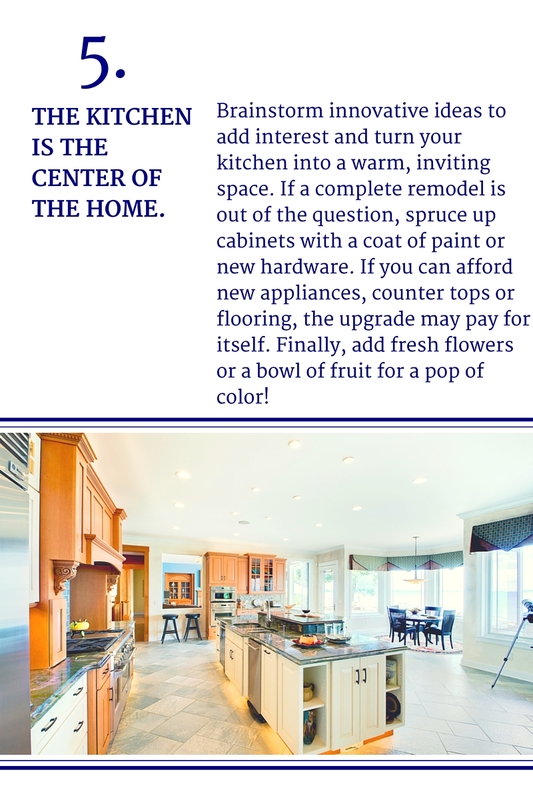 You may even increase your home's value in the process! A few well placed pops of color can really tie a room together and make it look expensive. You don't have to spend a fortune, or overhaul your existing furniture to achieve a more cohesive look. Pick up a few outdoor throw pillows , a fun rug and a coordinating umbrella and your patio will be instantly refreshed! Think of your potted plants as accessories and display them around the area for added interest. No need to head inside once the sun sets! Add some festive lighting to your patio and we're sure you'll find yourself hanging out there long into the evening. You can find tons of fun string lights, lanterns and even outdoor lamps at any hardware store these days. You can even add in a few citronella candles and torches to keep the bugs at bay. Add a stylish outdoor rug to your patio to make the area feel more cozy and pulled together. It's amazing how an area rug can make the space feel like an extension of your home! There are tons of inexpensive options available online. Turn your patio into a real retreat by adding a privacy fence and some tall landscaping around the perimeter. These plants are great for creating natural screens for your yard. Add a fire pit, hammock, outdoor bar or lawn games to your patio for added entertainment and fun! You may find yourself spending more time outside than inside this summer! The National Realtor's 2015 Survey showed that 81% of buyers find it easier to visualize the property as their future home when it's staged. Check out the full article here. 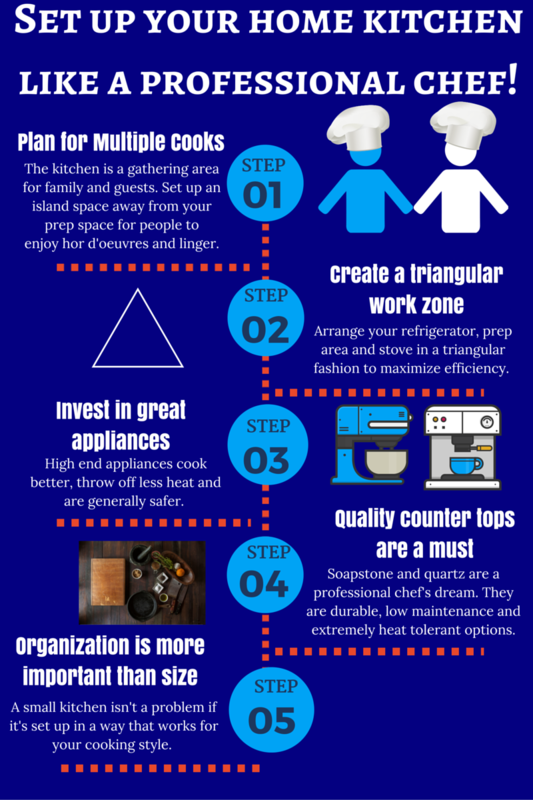 Want to design your own dream kitchen? We can help with that! Take a look at new construction opportunities in your area. 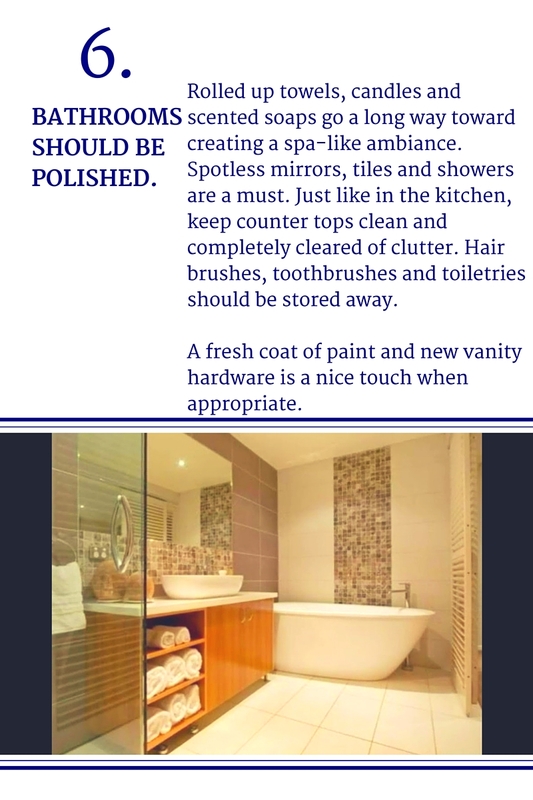 Give your bathroom or powder room a 'wow' factor with these simple and inexpensive, DIY projects! 1. Make storage pretty - Use apothecary jars, mason jars or even crystal sugar bowls (found inexpensively at thrift shops!) to hold q-tips, cotton balls, hair ties and other necessities. Find a soap dispenser to match, or re-purpose one of the jars with a screw on nozzle and you're on the right track! Not only do these serve their purpose of storage, but they add an instant visual appeal at the same time. 2. De-Clutter - It seems bathroom storage is always pushed to the maximum. Get hair dryers, straighteners and other odds and ends off of your counters by attaching magazine holders inside of cabinet doors. No more unsightly wires to get tangled! 3. Embellish Cabinets - A coat of paint will go a long way in changing the look of your cabinets (have laminate cabinets? No problem! Check out this DIY tutorial for painting instructions). If you want to go further, find molding to attach before you paint, or try using wallpaper inserts! 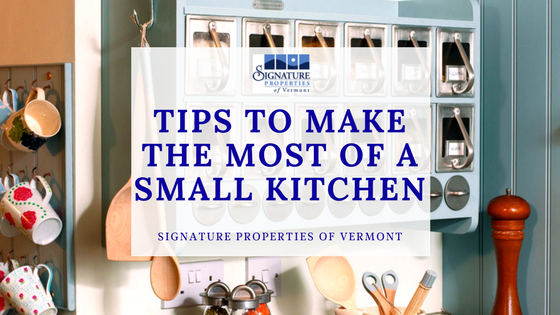 Swapping out hardware is a fun way to make a dramatic difference as well, and since most bathrooms have few cabinets and drawers, it will also be inexpensive. 4. Frame your mirror - Add instant drama by framing your bathroom mirror. It's as simple as buying thick molding and gluing it, or if you have the carpentry skills, make a real custom frame to hang on the wall. Bring your mirror dimensions to the hardware store and they'll miter the edges for you. Paint in a metallic color for extra flair. 5. Replace your towel rack - Towel racks are useful, but not very visually appealing. Instead, hang a pretty coat rack, individual hooks, or even mounted door knobs for a quirkier look. Hang fresh towels to offset your new look! 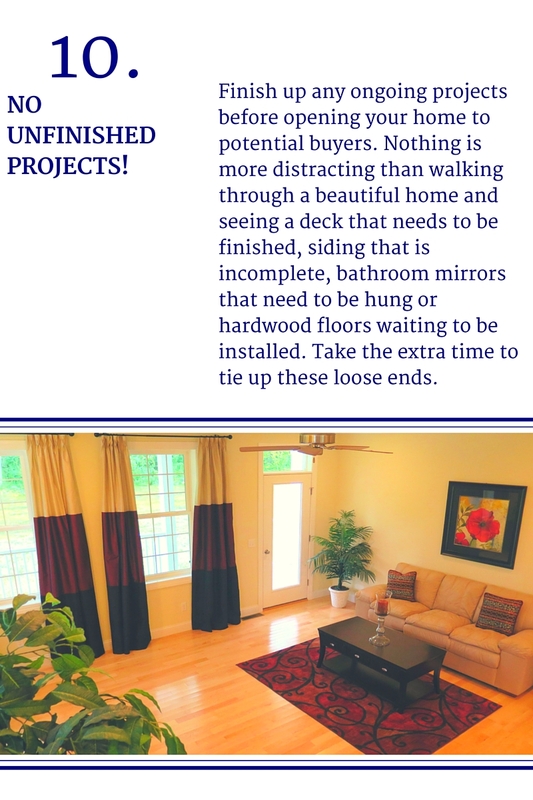 If you are considering a home improvement project to boost the quality and appeal of your home, this list of top 10 midrange and upscale projects will give you the biggest return on your effort when it comes time to sell! The data used in the Cost vs. Value Report was collected with the help of REALTOR® Magazine in an online survey between August and October 2013. More than 4,500 NAR members participated from 101 U.S. cities, up from 81 cities included in last year's survey. Construction cost estimates were generated by RemodelMAX. Make the home "white-glove clean." Because the camera magnifies grime, each room should be spotless for the best results. Don't forget floor coverings and walls; a discolored spot on the rug might be overlooked by prospects during a regular home showing, but that stain becomes a focal point for online viewers. Pack up the clutter. But leave three items of varying heights on each surface. For example, on an end table you can place a lamp (high), a small plant (medium), and a book (low). This dynamic creates visual interest without being distracting. Snap pictures. This will give you an idea of what the home will look like on camera. 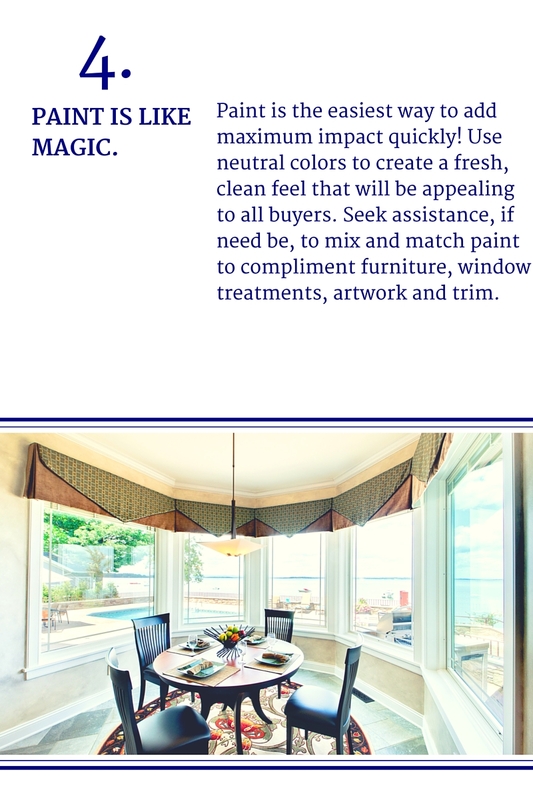 Closely examine the photos and list changes that would improve each room's appearance: opening blinds to let in natural light, removing magnets from the refrigerator, or taking down distracting art, for example.